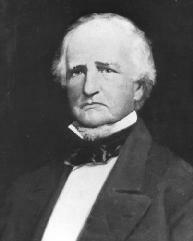 Benjamin Chew Howard was a lawyer who served as the Supreme Court reporter of decisions from 1843 to 1861. Howard, born November 5, 1791, in Baltimore, was the son of a distinguished Revolutionary War officer and the grandson of the president of the Pennsylvania Court of Errors and Appeals before the Revolution. Howard earned bachelor's and master's degrees from the College of New Jersey (later known as Princeton University). In 1812, he began the study of law, which was interrupted by military service during the War of 1812. Howard was a captain in the war and played a prominent role in the defense of Baltimore during the Battle of North Point, fought in September 1814. In Howard's day, the reporter was paid a modest yearly salary and usually earned additional income selling copies of the bound volume in which an important case appeared or printing the opinion separately in a pamphlet for sale to the public. When the Dred Scott decision outlawing Slavery was issued by the U.S. Supreme Court in 1857, the U.S. Senate sought to publicize it as broadly as possible and printed 20,000 copies for free distribution to the public (dred scott v. sandford, 60 U.S. [19 How.] 393, 15 L. Ed. 691 ). Howard protested strongly that his income from the sale of the opinion would suffer from the competition. As a result, the Senate voted to pay him $1,500 in compensation and agreed not to distribute its version until Howard's bound volume and pamphlet version were made available.